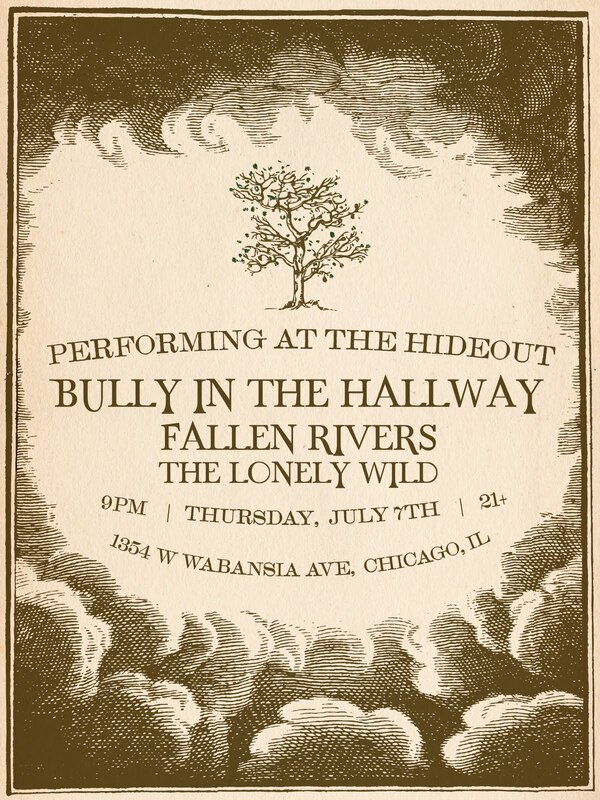 BULLY IN THE HALLWAY: July 7th at the Hideout! July 7th at the Hideout! 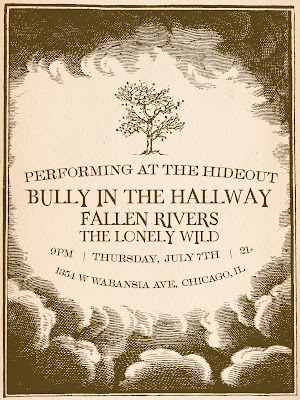 We are thrilled to be playing with our dear friends the Fallen Rivers, as well as guitarist Billy's fellow LMU alumni The Lonely Wild at Chicago's Hideout. Get your Tickets ahead of time here!